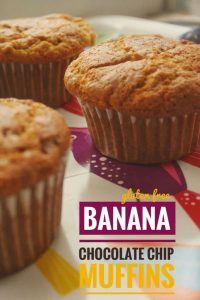 These delicious Banana Chocolate Chip Muffins Gluten Free are made with simple and easy to find Gluten Free ingredients. 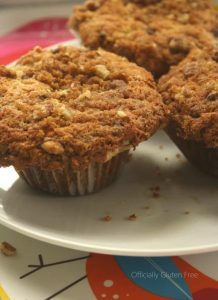 This recipe has 2 options, they can be made plain or with a delicious Sweet and Crunchy Brown Sugar Pecan Streusel Topping. My family loves them both ways. 2. Mix the bananas, sugar, eggs and butter. Then stir in the rice flour, corn starch, baking soda and baking powder. Add the chocolate chips then mix until well combined. 3. 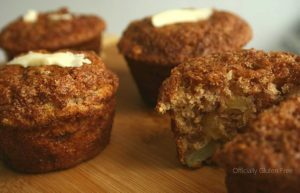 Spoon the batter into a paper lined or greased muffin tin. Mix the flour, brown sugar and cinnamon. Add the butter then mix with your fingers until a crumbly mixture forms. Mix in the crushed pecans. Sprinkle the topping over the muffin batter before baking. 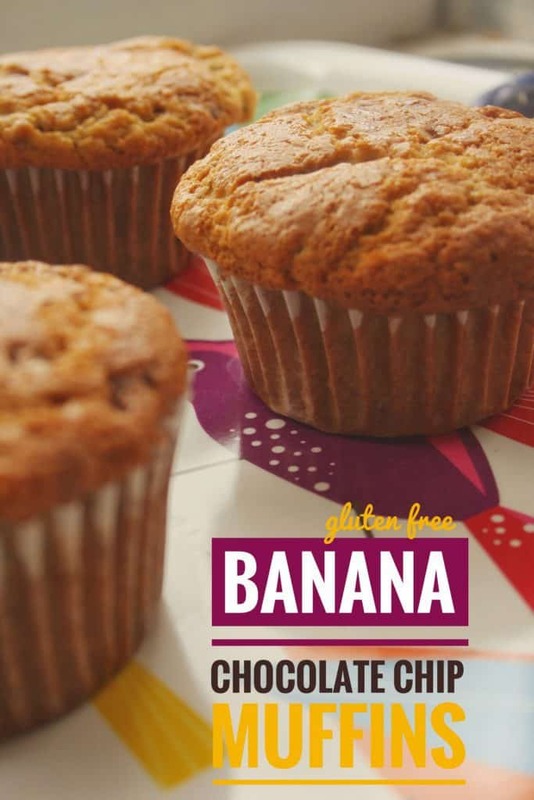 This recipe makes 12 Banana Chocolate Chip Muffins Gluten Free. Baked Apple Fritters Gluten Free. Mix the bananas, sugar, eggs and butter. Then stir in the rice flour, corn starch, baking soda and baking powder. Add the chocolate chips then mix until well combined. 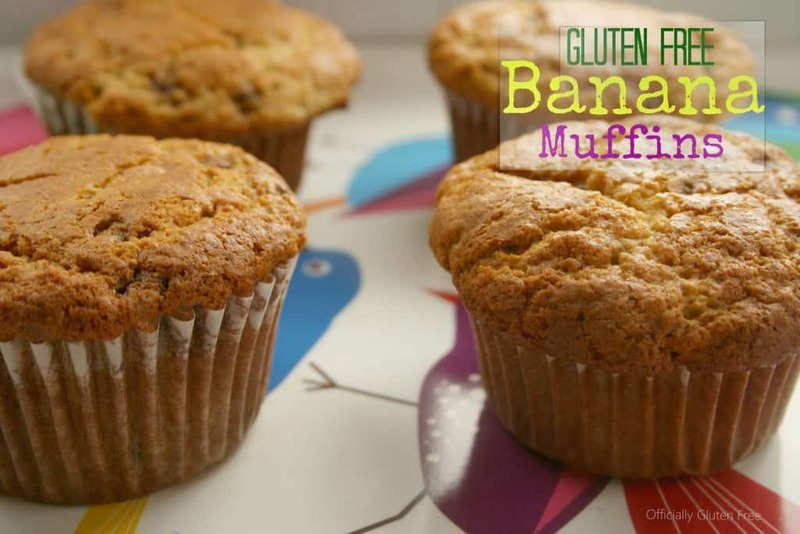 Spoon the batter into a paper lined or greased muffin tin. How come that all the time I came here to your nice blog I end up mouthwatering?? 🙂 good Lord..
Hey. please add an email option so that we can easily mail the recipe to our self or to friends. Thanks! Cannot wait to try some of these recipes!!! Yuk! 1Tablespoon of baking soda was way too much!! Tried it again with 1 teaspoon of soda and they were delicious. Lol Tsp is teaspoon, Tbsp is Tablespoon. Glad you like them.